BMW ICOM A is a diagnostic head unit for all BMW cars and motorcycles. 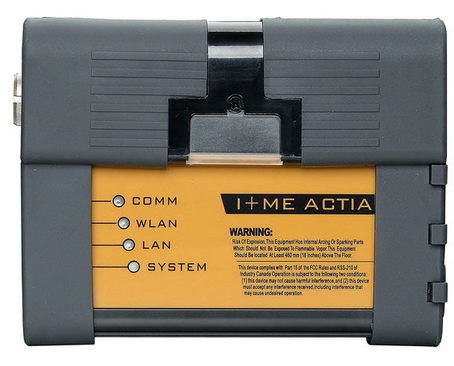 It is connected with network cable to a computer and by OBD connector to a car. Used for diagnostic faults, error clearing, coding and programming units. BMW ICOM B is a programming and diagnostic head unit for all BMW cars with MOST optical port. It is connected with USB cable to a ICOM A1, A2,A3，NEXT A diagnostic head. Used for diagnostic faults, error clearing, coding and programming units. 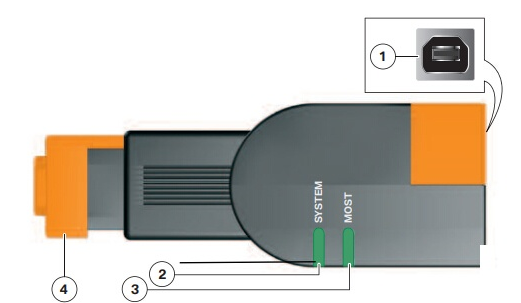 Put the ICOM B at the USB port from your ICOM main interface. Open the optical port on ICOM B and connect it to the car. For example on a E92 it is a little bit more right to the diag plug under the steering stock (a black plastic plate should be removed). Here you can see the optical plug, remove the lenscap before you use it. The location can be found in ISTA and is depending on the cars type you are working. Before flashing anything with a new ICOM-B for the first time, I recommend doing a stress test with Tool32. Configure Ediabas to most async ab 625, open Tool32 and cicr.prg. and then from Tool32 top bar, select “play”. This will make the “read error memory” job run on repeat. 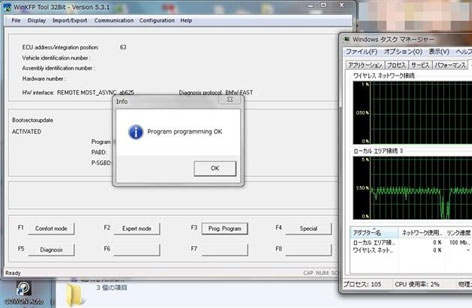 If it can do it for 30-60 minutes, then the head is probably ok.
Obviously the ICOM emulator must be connected to the CIC. When you make a flashing , you can confirm data communication in task managers. And, ICOM B, green flashes on and off. * Yellow = the relevant LED lights up simultaneously red and green.